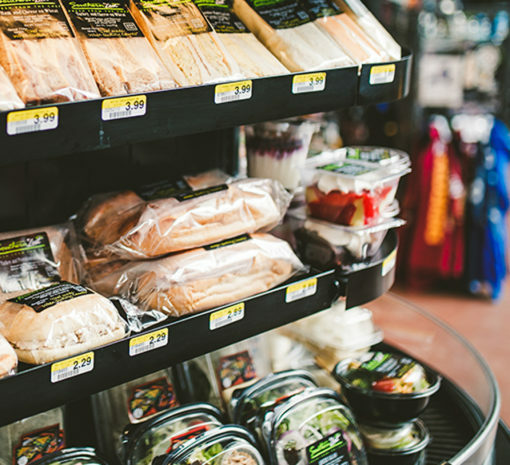 Are you capitalizing on the increasing demand for Grab & Go products? There's no better time than now to get started or take your existing efforts to the next level. KraftHeinz conducted a Grab & Go planogram, cooler placement survey using Crossmark. Inside this booklet are recommendations of the optimal assortment variety based on store-level item data and a survey of consumers’ wants and expectations. MR Williams has also included its top selling items by rank for each recommended category. The survey found that the bulk of stores surveyed utilized dual placement, but stores with refrigerated food items merchandised only in an open-air-cooler saw the highest average velocities. Stores with only vault door options saw the lowest average velocities. Walkaround coolers have the strongest velocities of all three cooler options (upright open air, walkaround and vault doors). If space is limited, an upright open-air cooler is also a better option than a vault door. Snacking cheese, lunch combinations and sandwiches have seen strong growth from 2012 to 2016. Consumers want an assortment variety with brands they know and trust. Sixty-eight percent of consumers are more likely to buy a refrigerated juice, tea or drink if it is a major brand.